The purpose of this thread is to point out minor bugs and mistakes so we can be annoyed. Okay. You can use certain abilities in the Tinkerer’s Workshop, but not all. Skuld used to have an introduction sentence for the final phase of Haunted Cemetery, now she just goes straight to “say ready whenever”. Speaking of which, the portal for said final phase says Final Rest while the loading screen says Final Battle. Items dropping in places where you can’t reach them. (i.e. Jugg in the deep water for Hermit). Not sure if this trivial though, I’d sure as hell be pissed. Is the sound for Unicorn’s in Candyland fixed? Yes. The creampuff also has comparable HP to the rest now. When items get ‘stuck’ on your screen and you leave the area. If it’s not in a particularly annoying place, I’m usually fine. Problem is when it’s right in the middle and I have to restart. Pets are too fat to pass through single-tile wide openings. I mean, c’mon, at least the babies should be able to pass. 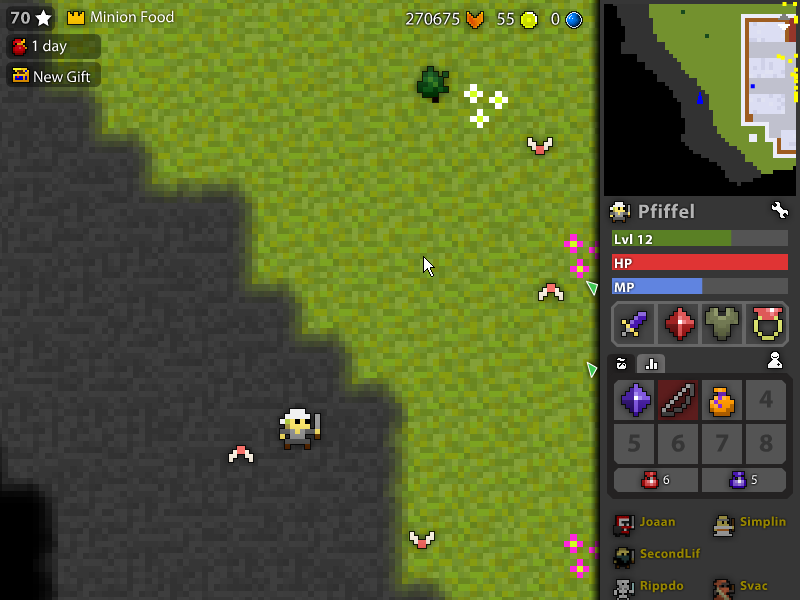 Only place I find this annoying is Oryx’s Castle, when I can’t get my pet on the Stone Guardians. Sprite World moving tiles turn trippy when your memory becomes too high. “shtrs The Cursed Crown” is the name of the object the Forgotten King spawns from. “shtrs Laser#”, where # is a number, are the names of the fire tentacles the king uses. The Fire and Ice Portals spawned by the archmage are incorrectly named as Ice Sphere. There are several areas in the Shatters that just turn into black tiles without any border or transition, which looks bad. Lair of Shaitan lacks a bottom wall. Unnecessary sand tiles in the lower part of the Ivory Wyvern room. Blurred text and misaligned images in the mystery box descriptions. 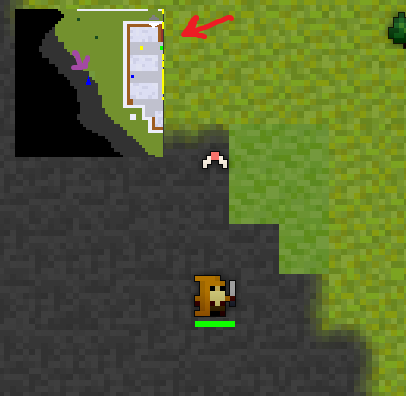 I do believe that jugg drops from Sphinx sometimes are ‘under’ the portal and beside a column (this was somewhere on Reddit). You’re not supposed to be able to view another person’s inventory. You’re using a hacked client. Their equipment inventory and HP/MP bar pop-up stops appearing when you mouse-over the name. Are you admitting to using a hacked client? Because you can't turn off ally projectiles in the prod. client. I think hes just trolling. To be the most bestest you have to be the most smartest. That was one sly edit right there. 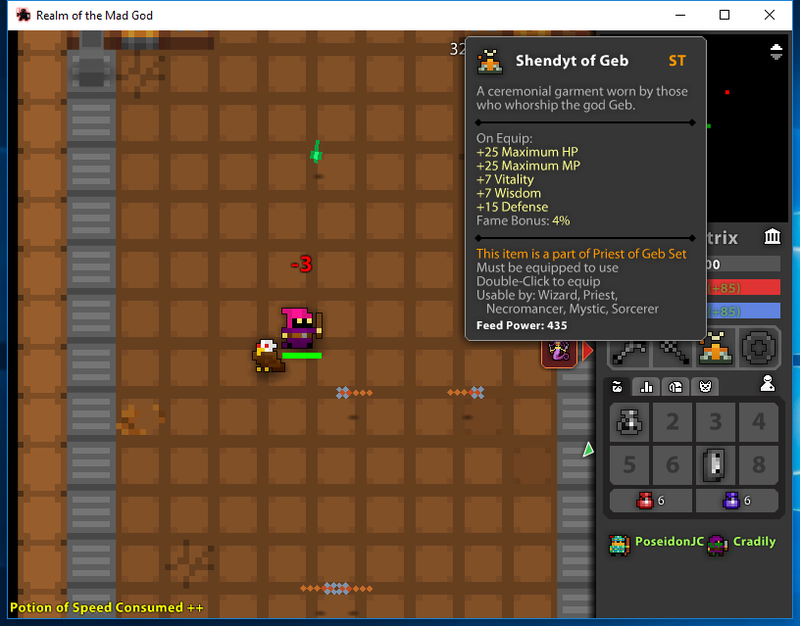 Deca have fixed a few things in this thread… but theatre still has no portal of cowardice. And server list is in backwards order. Shameful.